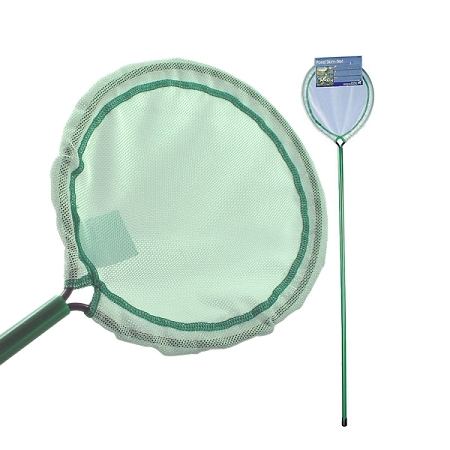 Make removing floating leaves and debris that pollute ponds and discolor fountain surfaces a snap with this lightweight but sturdy skimmer net. Fine mesh is soft and rounded edges wont mar surfaces. 3 foot long handle makes skimming easy.